Dressed in its original colors and finished to an exacting restored standard worthy of any internationally recognized concours event, this 220 Cabriolet A would make a well qualified addition to the most demanding of collections. With less than 16,000 KM’s from new, this 5000 S Countach is in exceptional condition from top to bottom and represents itself impressively well. Having recently benefited from a bare metal respray in its original color of black, and in combination with the well kept original red leather interior, it would be difficult to find a sleeker or more dangerous looking Italian sports car from the 1980’s. As one of the very best and earliest 540k examples, chassis 130945 is 1 of only 5 factory “transition” low profile “500K” sport body styles with the 540K supercharged engine. With duel rear mounted spare tires, clam shell open fenders and a stunning color combination restored to perfection, this is the ultimate Cabriolet A example. 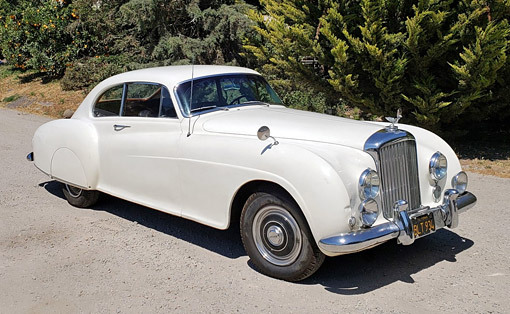 Ordered new by legendary author Ian Fleming for his closest friend, inspiration and confidant Ivar Bryce, this left-hand-drive Coachbuilt Mulliner Fastback was delivered new with the most desirable equipment, features and colors. This original paint and interior 280SL “Pagoda” has been exceptionally well taken care of and is fully sorted to the level of a show quality preservation example. With only 41,191 miles, this very original Mercedes is a serious candidate for show or driving events. Freshly and comprehensively restored to a show quality finish and superb mechanical condition by marque experts, this factory black, matching numbers 190SL is ready for show or drive with less than 250 miles on it since restoration was completed in 2017. 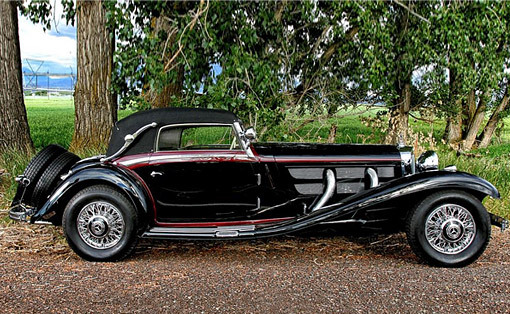 Scott Grundfor Company has a long and rich tradition in the collectible car and restoration market spanning 4 decades. It is our goal to not only continue the restoration and sales excellence we’ve worked so hard to develop over the years, but also to bring about awareness regarding the appreciation and preservation of the history of the automobile. Since the 1970’s where we set the bar with best of show cars at Scott Restorations in Los Angeles to our current restoration, preservation and sales facility on the beautiful Central Coast of California, Scott Grundfor Company continues to strive for excellence in all the services we provide our long time and new clientele. At the core of what we do is a view that the automobiles we buy, sell, restore and preserve are a part of history, and we’re a stop along the way providing high level and knowledgeable stewardship. Our experience and network can help you. Contact us to discuss your classic car consignment or acquisition needs.